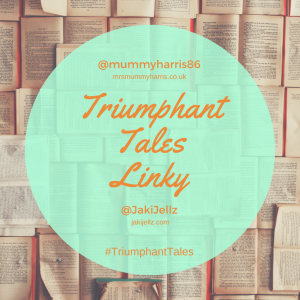 Fuerteventura, Corralejo | Talking Mums | Making memories to smile about. We went to Fuerteventura as a family for the first time in May last year. This was our last chance to seize the opportunity of a holiday during term time. Pops was to start school September the same year. Pud was only 4 months old but we took the gamble as everyone said it’s the best time to travel with a baby – before they are on the move. They weren’t wrong. I had always said I didn’t see the point in travelling afar with small children but when it came to the crunch we couldn’t resist. Fuerteventura is the second largest of the canary islands sitting just off the coast of north Africa. This Spanish Island is well known as a holiday destination. Most likely due to the lovely weather all year round and the fabulous beaches. As most families do, we spent rather a long time making sure our destination would cater for what we wanted, we weren’t picky! All we wanted was all inclusive so we could take a step back from cooking and cleaning. We wanted kids clubs to give Pops some stimulation as much of our time was spent seeing to a 4 month old. We wanted entertainment and a play area. We also wanted the option to be able to walk to a nearby town and beach. We were going for two weeks, never had we done this before but we wanted to see if a two week break offered any benefit over one week. Funny how the things you look for in a holiday once you have a family are the polar opposite from before. After much searching we discovered Corralejo by recommendation from a friend. Distance from airport: This obviously depends on your hotel drop off but the journey is approx 40 minutes along a lovely coastal road for the main part of the journey. Best time to visit: Temperatures sit around 20℃ from late November through to February. Spring and Autumn are a lovely time to visit with temperatures around 25℃. During the summer months temperatures can reach 30℃. So for me personally I would recommend spring or autumn. Do consider how much sightseeing and walking you’ll be doing with no shade. Peak summer months can be too hot to do this with small children. We stayed All Inclusive at The Suite Hotel Atlantis Fuerteventura Resort, which I can thoroughly recommend. This was our chance to kick back and relax. Well as much as you can with two little ones anyway. We loved the fact that our hotel was less than 5 minutes walk from the beach. There were many hotels in the vicinity do plenty to choose from. Once on the beach you could walk all the way to Corralejo town. There is a path in parts and we did it with a pushchair but as anyone knows wheels and sand don’t go well together. But it was possible and the views along the beach were too pretty to miss. Perhaps a backpack carrier may have been easier. The town itself exceeded expectations. Restaurants lined the main street and also the shore front. Of course prices were a little more expensive along the shore but worth it for the views. The main road continues north with all the types of shops you would expect from a popular holiday destination including a duty free mall. My advice would be to continue up to the old town, with its town square, tapas bars, cobbled streets, the sea air and the music you really begin to immerse yourself in the holiday spirit. We found all the restaurant owners lovely and great with our daughter who attempted to speak a little Spanish to them. All the beaches near Corralejo were stunning and so easy to get to but expand your search a little further east and you will find the most stunning beaches that form part of the Corralejo Nature reserve. The beach is part of the famous expanse of sand dunes and this golden beach stretches from about 8km. Plenty of space to throw a towel and picnic blanket down or you can pay for sun loungers which line the beach. But rather exposed and very few amenities. There was so much more to do but with a small baby we felt less adventurous than normal. That said we felt we had everything we needed for a lovely holiday. For more ideas on what to do on the island such as a boat trip to the Island of Lobos, The Oasis park Fuerteventura and the Acua Water Park or for late deals to Fuerteventura check out this link. *This is a collaborative post with Holiday Gems. All words, thoughts and opinions are my own. A mummy and a midwife, sharing my thoughts and experiences. Muddling my way through life and attempting to create memories to smile about. You are not alone in this craziness called parenting! What’s in a Name: How Should You Choose a Name for Your Baby? I’m still drooling over those pizzas! It sounds like a great holiday – what an amazing place to pick as your very first holiday as a family of 4! Thanks for linking up with #KCACOLS. Hope to see you again next time! I’ve heard wonderful things about this place. Glad you had a great time. 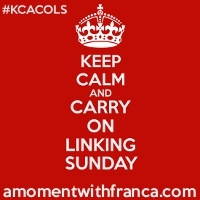 Thanks for linking up to #KCACOLS Come back soon. It sounds like you had an amazing holiday! We’re planning to go to Disney next year when Ben is only two, but his love of Winnie the Pooh means even if its just the character meets, he’ll be chuffed! I’m glad you took a risk and enjoyed a holiday away. The beaches look divine!